The tamper proof cable lock seals are made of steel lock body with ABS plastic, The diameter of the cable security seal is 1.8mm. The cable security locks are mainly designed to protect the valuable goods from tampering, theft, and unauthorized access. 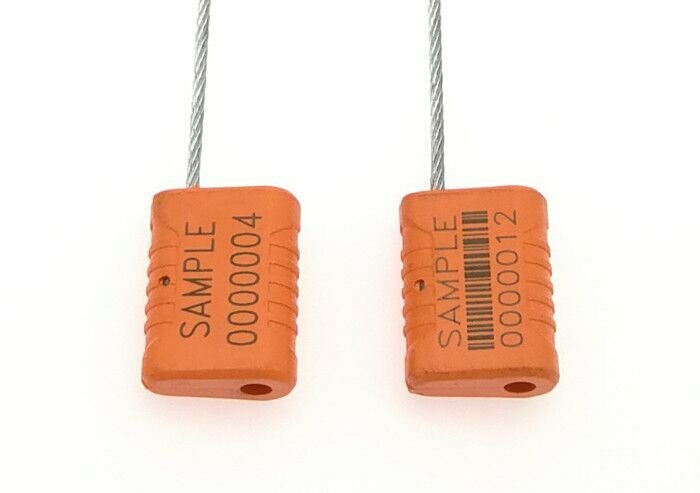 It’s available to customize the colors or printings of the tamper evident cable seals. 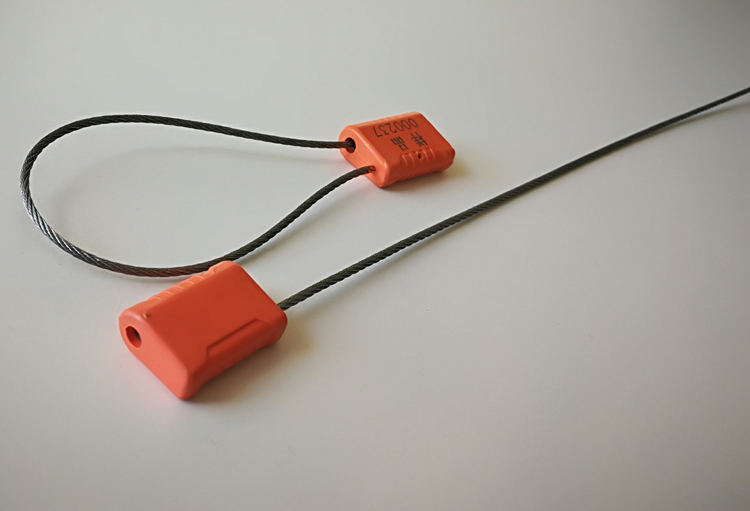 The cable security lock seals are used on in-plant valves, tank-truck valves, truck trailers, rail wagons, box doors, hazardous material boxes, gates, scales, money bags, electric power meters, water power meters, barrels, airline carts etc. 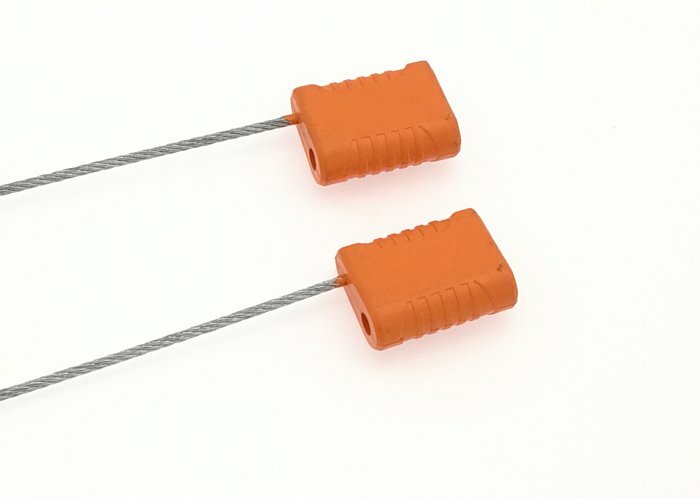 The cable security seals size of printing:25.5x11.5mm. The cable wire: 1.8mm diameter and 300mm long. The wire length can be customized according to your requirements. Company logo/name，serial numbers, or bar-code can be done on the tamper evident cable security seal. 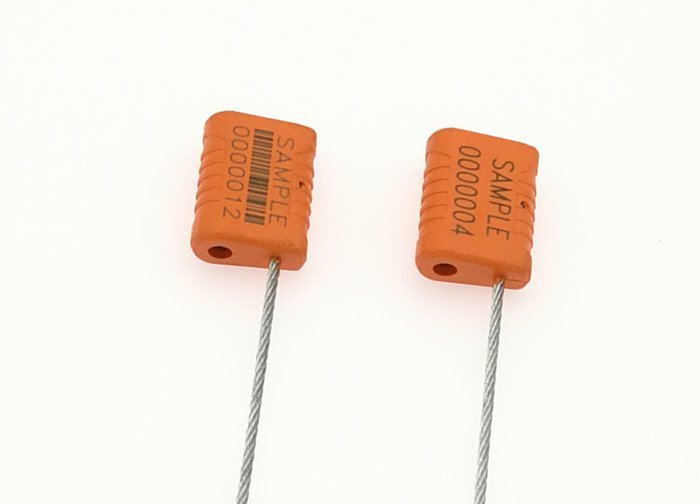 Yellow, white, orange, blue, green, black etc can be made for the adjustable cable seals.